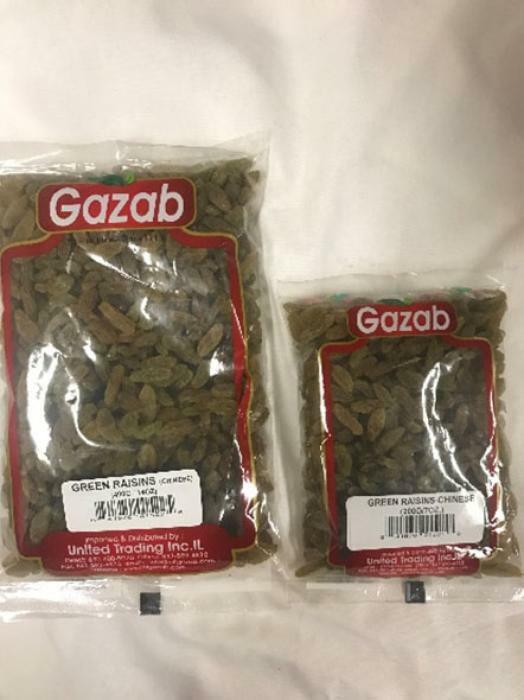 United Trading of Des Plaines, Ill., is recalling packages of Gazab Green Raisins (Chinese). The product may contain sulfites not declared on the label. It was sold in retail stores that sell Indian grocery products in Illinois, Minnesota, Wisconsin, Indiana, Florida, Michigan and Texas. The recalled product is packed in 7-oz. and 14-oz. clear packages with a printed red out line, brand named “Gazab,”, with UPC codes for 7-oz. (841970015218) and for 14-oz. (841970015225). Consumers with questions may contact the company at 224-500-3678, Monday – Friday, 9am – 5pm (CT).